There are many lessons to be learned from the last general election and the dust hasn’t settled yet. After promising “strong and stable” leadership, Theresa May’s minority government is delivering anything but, as it depends on the DUP for its survival at a huge financial cost and the risk of undermining the Good Friday Agreement. One lesson for Labour is that it should look forward, not back. Since he was elected party leader, the media have spent far more time focusing on various coups against Jeremy Corbyn than the alternative to Tory austerity that his team were trying to advocate. Unfavourable polling only fuelled this fire and the disagreements in Labour about our future. We should not overlook the fact that the concern was primarily over Labour’s chances at the next general election, rather than the policies themselves. Leader of the opposition is said to be the most difficult job in politics and this has never been more the case than now. But while Labour did not win a parliamentary majority, Corbyn’s team made a remarkable comeback, winning 40 per cent of the vote – an impressive achievement under any circumstances. Theresa May called the snap election with the cynical intention of exploiting the differences in the opposition and killing it off; instead, it had the opposite effect of bringing everyone to work together. Whatever their disagreements, all parts of the Labour Party are committed to bringing a Labour government to power and everyone campaigned hard to make that happen. Now is not the time to rally behind Paul Mason’s call for “moderates” to leave and form their own party if they want to keep backing “illegal wars”. The Iraq War divided the party in the same way as it did the country – and I speak as someone who marched to oppose military action. Labour is getting closer to power, but we aren’t there yet. We need everybody to continue working together, rather than settling old scores about a decision made several prime ministers ago. This is not a politics of inclusion, but of division. And we’ve all had enough of that right now. It is also not the time to launch efforts to begin deselecting Labour MPs who have only just won their seats. This is not the way to respect local democracy or build the new inclusive politics so many of us want to see. As Diane Abbott told Progress conference this past weekend, Jeremy Corbyn had never called for deselections – and neither should the rest of us. We may well have another general election to fight soon, for which we must all come together to fight for the progressive government now increasingly within our grasp. 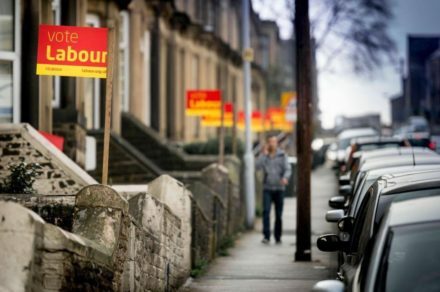 To open the door to creating new divisions in our CLPs at this time is simply wrong. We shouldn’t use the election result to re-open our still healing wounds, but rather to bury hatchets and build on what has been achieved. Corbyn has called on the party to remain in permanent campaigning mode. He’s right. We should keep CLPs energised and engaged by concentrating on the issues that matter to us all. This “ground-up” activism could serve as a positive outlet: from large-scale rallies to chats on their doorstep or on the high street we can keep increasing the pressure on the Tories both within the Houses of Parliament and beyond the Westminster bubble. The Tories will not make it easy for us to take No 10 back. Victory will require massive efforts from all of us. Our work is not done, but is only just beginning. The opinion polls that have so often been used against us are now working in the opposite direction — against May and the Tories. But if we focus our energies on infighting, we risk squandering all that has been achieved. We’re not there yet. So let’s not make it more difficult for ourselves. The country needs a Labour government – let’s give it one, and resist the urge to descend into point-scoring but work together towards vote-winning instead. We can make it, but we must try. All of us.